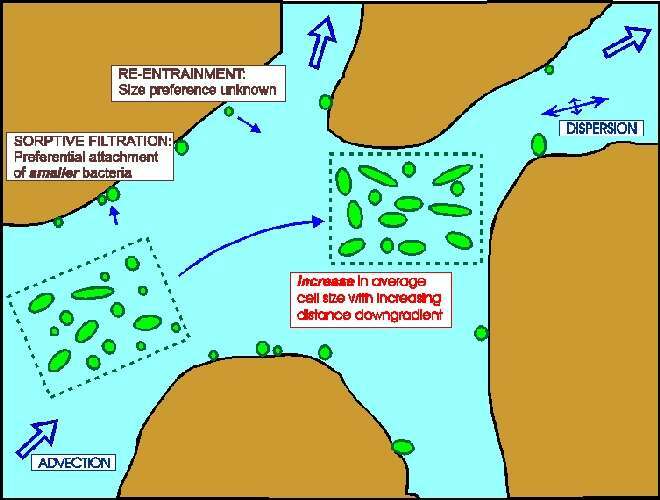 How do we study subsurface microbiology? Here are some figures from papers and talks that have been given in the last few years that illustrate some of our work. We have two epifluorescence microscopes, flow cytometry equipment, HPLC and capabilities for performing routine and specialized water quality assessments in our laboratory. 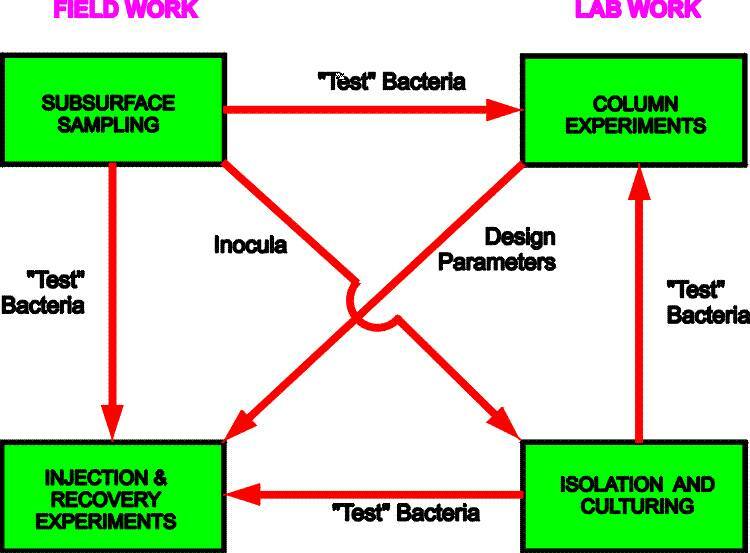 We have concentrated on iterative lab and field experiments (figure above) to investigate the multifaceted factors associated with microbial (protozoa-virus-bacteria) transport in the subsurface and how geochemistry affects them. The illustrations below describe what may be going on at the microbial level. Click on either to see a larger picture.